Since 2006 Maryland has taken major steps to reduce its greenhouse gas emissions from cars and power plants, and to increase energy efficiency in the State. In 2009 it became among a small handful of states to establish ambitious goals for dramatically reducing greenhouse gas emissions society-wide. The Greenhouse Gas Reductions Act of 2009 commits the state to reduce its greenhouse gas emissions by 25% by 2020. Climate change is a global problem that Maryland’s reductions will not solve. Maryland’s reductions will count for Maryland, however. They will make the state more sustainable and resilient, and they will establish leadership examples for other states, and for the nation as a whole, to follow. The Town Creek Foundation is committed to helping Maryland exceed its greenhouse gas reduction goals. In support of this commitment we are making grants to help identify and pursue necessary new laws, policies and regulations, and to promote strong leadership and bold strategies from office holders, advocates and citizens. 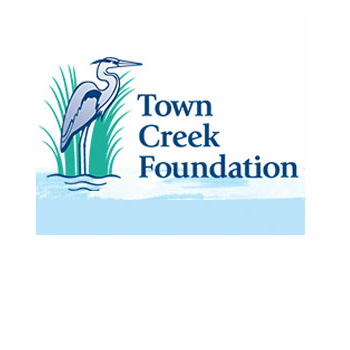 Click here to visit the Town Creek Foundation website.